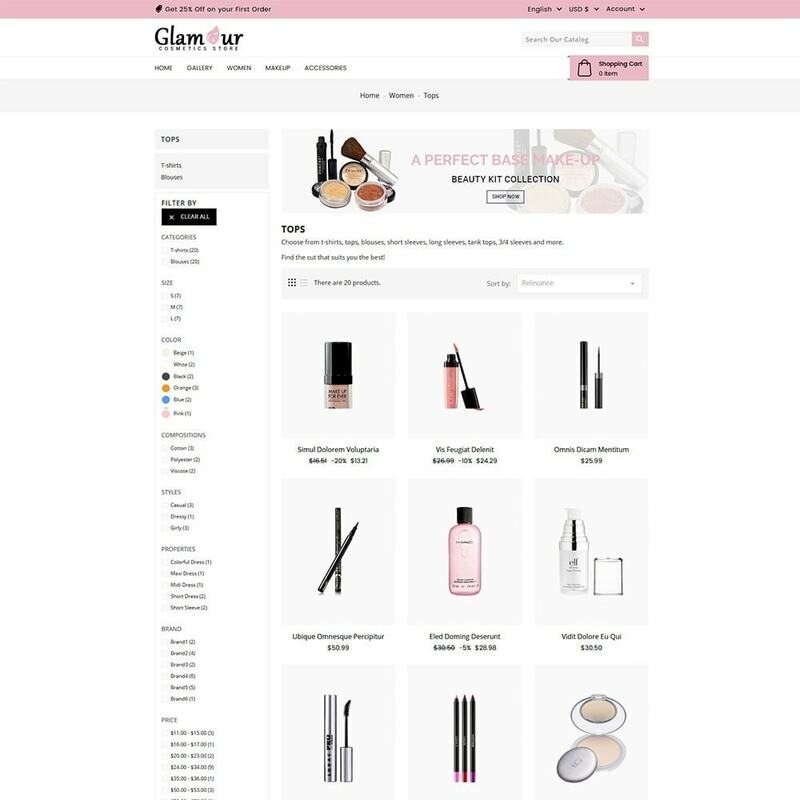 Glamour Cosmetics is our enhanced and beautifully designed responsive theme. 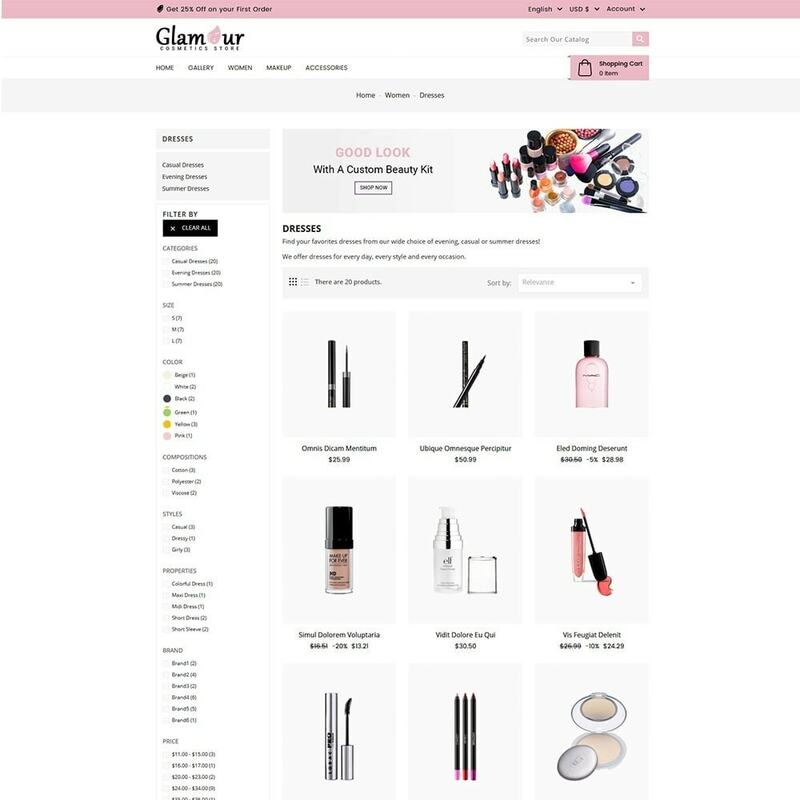 Glamour Cosmetics is rich with powerful user friendly features that would attract more clients to your online store and boost sales! The theme can be easily installed from your Back office with module import / export (themeinstallator available in theme package) or directly by uploading files via FTP. Installation Document Included with theme pakage file.